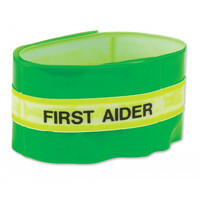 Photoluminescent armband complete with "First Aider" badging and Velcro fastening for simple application. 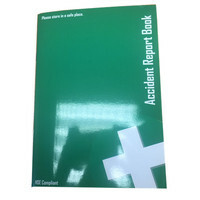 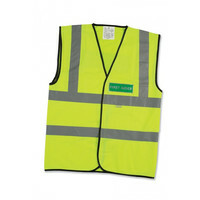 This high visibility waistcoat features "First Aider" badging on both front and back and has reflective badging and stripes for added visibility. 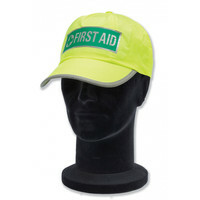 This one size fits all high visibility "First Aider" baseball cap enables first aiders to be identified in crowded conditions.